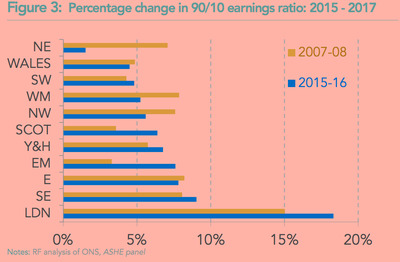 Britain’s labour market has been the subject of much head-scratching in recent years. The country is at close to full employment – the point at which everyone who wants a job has a job – and yet, wages have been increasing slower than inflation has been rising and productivity growth is weak. Sadly for British workers, that doesn’t look set to change too much going forward, according to the latest report from think-tank, the Resolution Foundation analysing the state of Britain’s jobs market. “Despite an uptick in labour productivity in the second half of 2017, early data from 2018 suggests that this could have been an aberration,” the foundation’s quarterly earnings outlook report said. 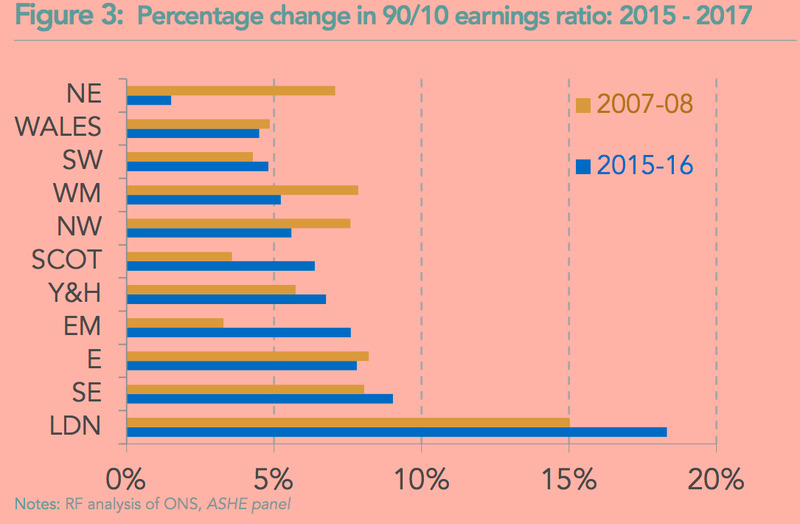 The Resolution Foundation’s report included a whole heap of charts looking at the state of the labour market right now, analysing where Brits are getting pay rises, how much those pay rises are, and how the near future looks for jobs. Check out a handful of them below. 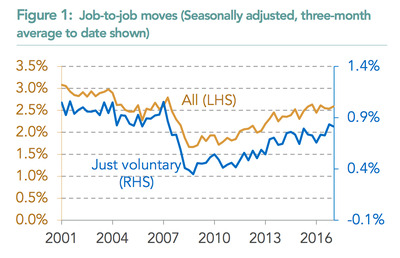 “Job-to-job moves are an important sign of a healthy labour market, particularly when they are voluntary,” the report notes. “Encouragingly voluntary moves appear to be rising faster than involuntary ones and this could presage faster pay growth in the near future,” it adds. 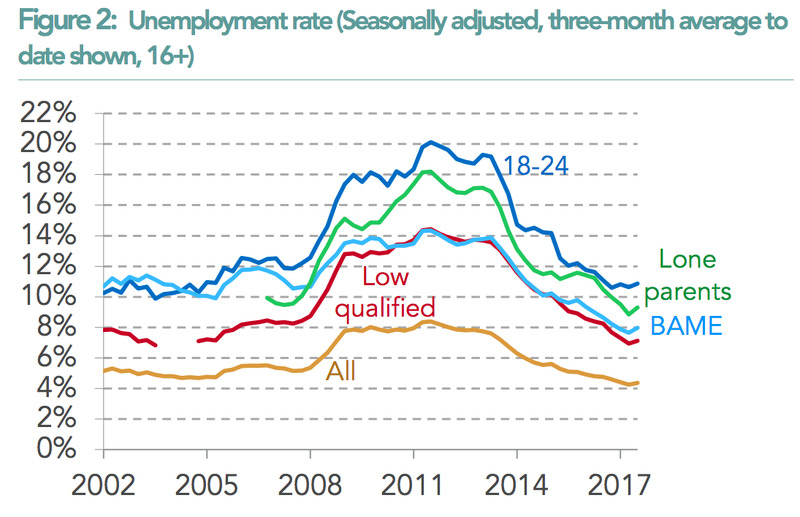 This is the chart to watch to see if the UK’s seven-year decline in unemployment is coming to an end. 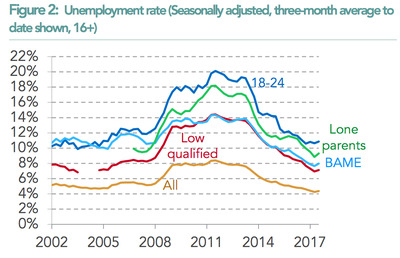 The above chart shows the unemployment rate for traditionally marginalised social groups, whose employment statistics tend to move slightly ahead of the majority of the UK. If unemployment among the young, single parent, and BAME workers is increasing, the rest of the labour market will likely follow suit soon after. “Any indication that unemployment was on the rise would first be apparent in data on groups more likely to find themselves out of work in a downturn,” the Resolution Foundation notes. 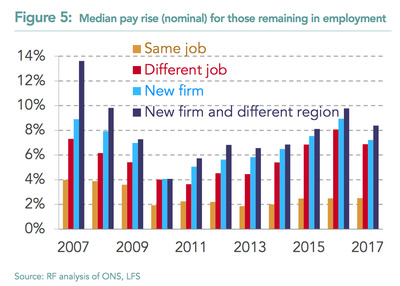 London remains the place to go for workers looking for a pay rise. Workers moving to the capital get an average salary bump of more than 17% – although London living costs are obviously far higher than the rest of the country. 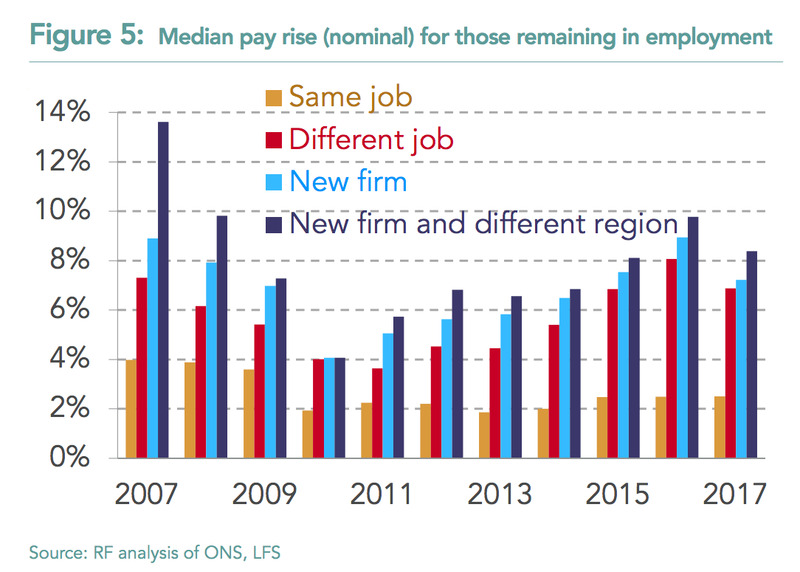 “The evidence is that those that move region and employer earn the highest pay rises, although the returns differ by region. Interestingly the variation in returns and the difference between the average return earned and the return to moving to London have both risen in the post-crisis period,” the report notes. “Although the UK labour market appears tight, measures of labour market dynamism are not as perky,” the report notes. The Resolution Foundation’s final chart is somewhat bearish. 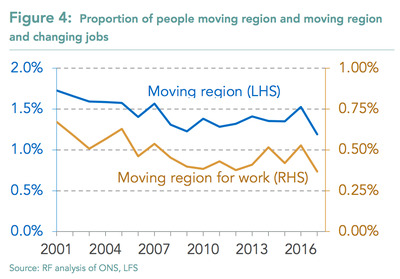 “Historically the pay rises enjoyed by those moving region have been far in excess of other job-movers, however this is increasingly less the case,” it says.